Everyone deals with trademarks on a daily basis, without them even realizing. A trademark is another way of referring to a brand. Purchasing decisions are influenced by trademarks and it is important for business owners to have an understanding of why trademarks are important assets. Trademarks make it easier for clients to identify your brand regardless of their native language and allows your customer to locate you. However, to register a trademark you might need some guidance. 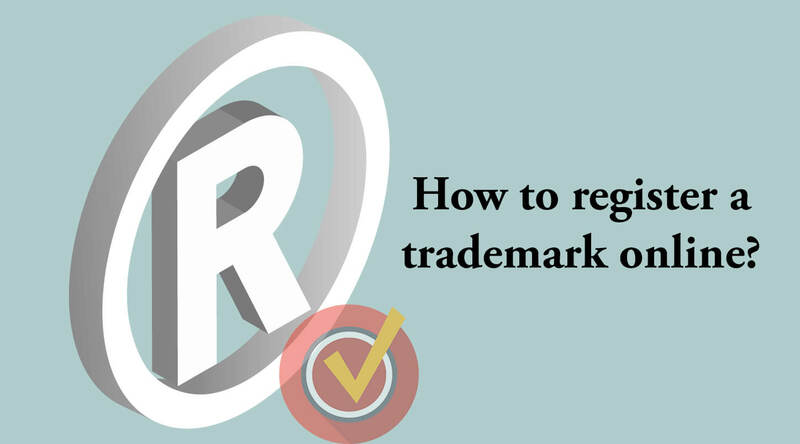 Here is a simple guide explaining how to register a trademark. A trademark is anything that is considered a source identifier and product recognizer. Anything that helps you identify where the product originated from and who the product belongs to, could be considered a source identifier. A trademark could be a word, symbol, logo, or a name that is used in the product or even its tagline. Many companies use these marks to brand products, so it’s important to have a recognizable trademark. A trademark not only gives you the exclusive use to the mark but also allows you to prevent others from using a similar mark that can be confusing to the general public. Rights to a mark can be established through the legitimate use of the mark in a commercial or business setting. When you are selecting a trademark, it is important to make sure that it is unique and doesn’t infringe on an existing trademark. The first thing to do while selecting a trademark is to figure out what class your company falls under. In India, there are 45 classes of goods and services under the trademark law. Find the class relevant to your company. A full list of classes is readily available through the Indian Controller General of Patents and Trademarks. The goal is to select a trademark that is unique and distinct, so try to avoid generic words. When you have a unique idea about a name for your brand or products, it’s a good time to see whether they’ve already been registered. This will protect you from legal challenges later. You can start with a public search on the controller general’s website. While searching you need to enter your class number and begin the search. Failure to conduct a proper search may result in not making a proper assessment as to whether an application should even be filed. This step is very important because it helps you understand if your trademark is unique and will be easily identifiable by the consumers. Once you’ve chosen your mark, you must make sure you can clearly identify the goods and services to which the mark will apply. The identification of goods and services must be specific to the nature of it and the level of specification needed will depend on the type of product or service. Make sure your trademark aligns with your product or your company. That is because it is how the mass consumers will identify your company and products. The application must be prescribed and filed along with a fee with the Trademark Registry. You can either file it by mail or online, or your trademark lawyer or agent can file it for you. Once the trademark registration application is filed, a trademark application allotment number will be provided within one or two days. You have now researched your trademark and applied for it to get registered. After you apply, you will have to wait for a while before your application can be reviewed and accepted. However, you can check your file’s progress from time to time with your “allotment number.” The government will give you this number within a few days of receiving your application. Track your file by going to the website of the Indian Trademarks Registry and entering your allotment number and trademark class. Files also have priority based on the date of application. This means that the longer you wait, the more attention your file will get. Also, once you have an allotment number, you can legally use the TM symbol next to your mark. You are responsible for enforcing your rights if you receive a registration because the government does not police the use of marks. While the Trade and Merchandise Mark Act attempts to ensure that no other party receives a registration for an identical or similar mark for or as applied to related goods/services, the owner of registration is responsible for bringing any legal action to stop a party from using an infringing mark. You need to watch out for people copying or using your trademarks or using similar marks in your industry—failing to take action to protect your mark could eventually result in losing your trademark because of a concept called dilution. The reason is that if everyone in the industry is using the same naming, it no longer identifies something that is uniquely yours. After all the work and the money that goes into getting a trademark, taking action against infringement is crucial to protect your mark and your investment. There’s a lot you can do to proactively protect your intellectual property when you’re running a business, and trademarks are just one part of the overall picture. After the registration of your trademark, you’ll still need to be vigilant for infringement, especially in your industry. Trademarks can offer a form of protection for the hard work you put into building a brand that stands out. If you are still unsure about the trademark registration process, contact deAsra. We can help you with the challenges you are facing as well as guide you through the whole process of registering a trademark for your company.